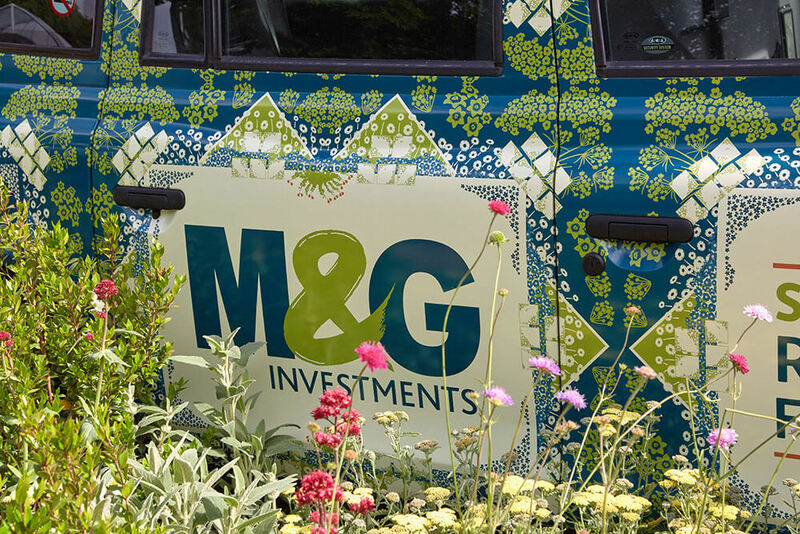 For the second year running, we’ve supported M&G investments in their display at the Chelsea Flower Show. 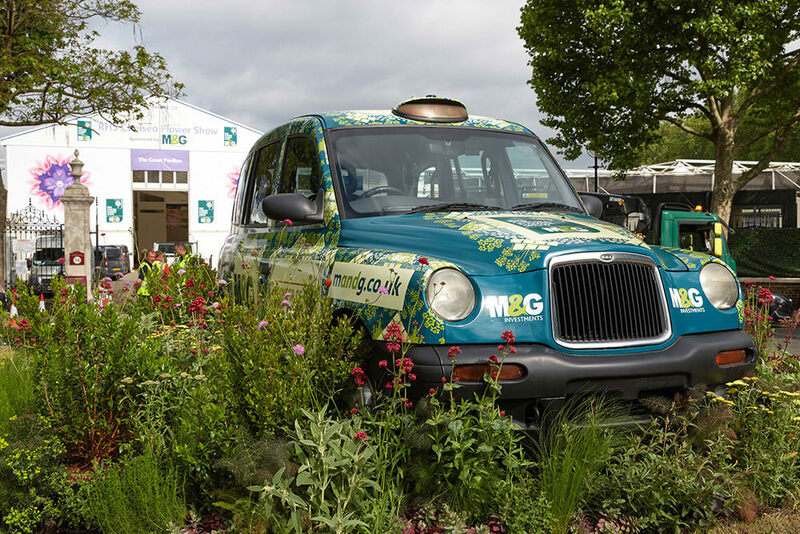 This year, M&G were looking to showcase a branded taxi wrap at the centre of their outdoor display. We stepped in to fully manage the project from producing the asset to placing it in situ. 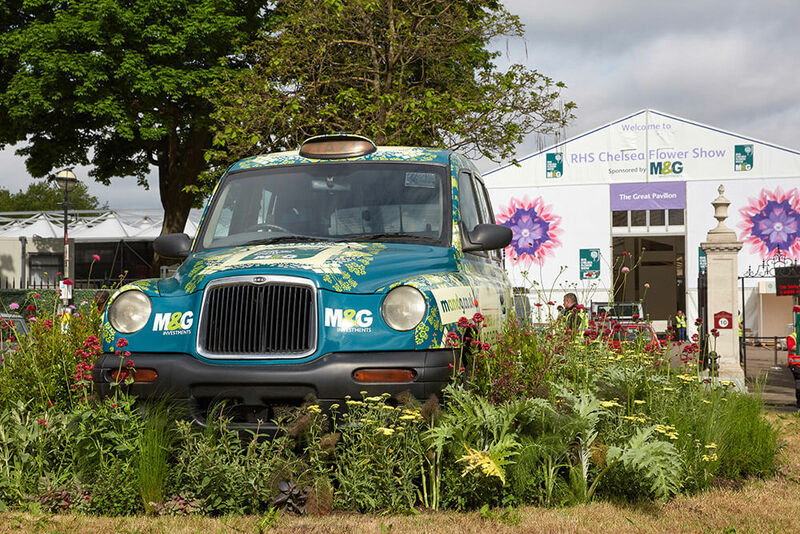 We sourced and supplied the second-hand taxi cab, removing the engine and any fluids, produced the vinyl wrap from approved creative and wrapped the taxi. 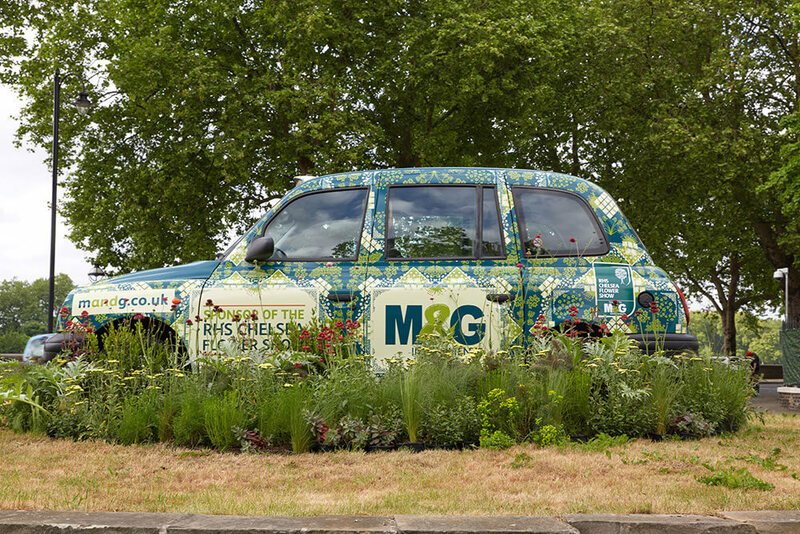 It was then transported by low loader to The Chelsea Flower Show where it was craned onto the Bullring roundabout at the main gate. We fully produced this centerpiece, including organising the crane, to ensure its visual quality as well as providing a smooth and simple delivery.